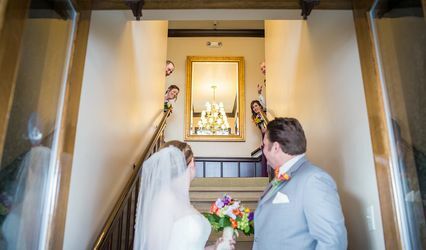 As you enter the sanctuary you will notice classic stain glass windows, high cathedral ceilings, and a traditional center aisle (which is wheelchair assessable). 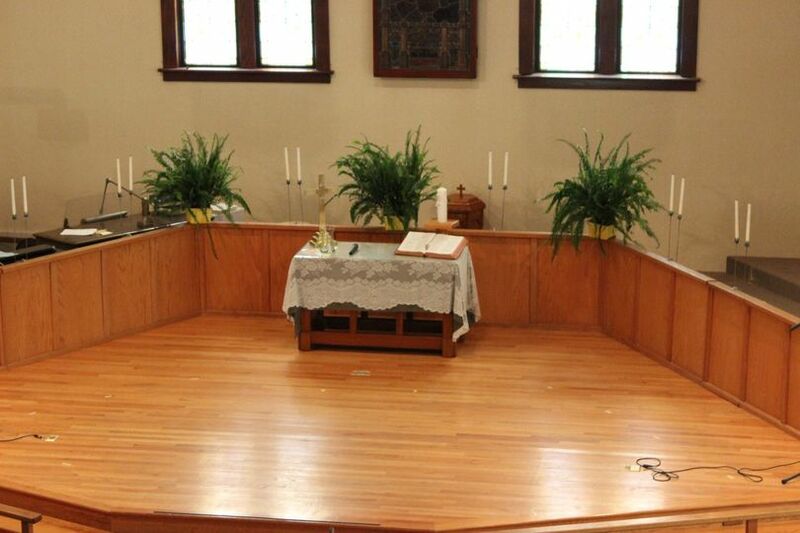 Our sanctuary can accommodate 180 people but can be modified to seat more guest. 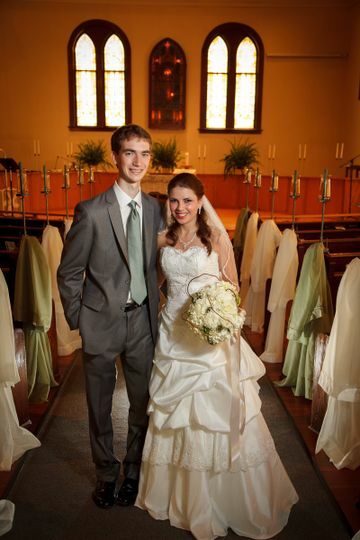 In addition, our pews are padded and angled to provide clear views of the alter and wedding party. 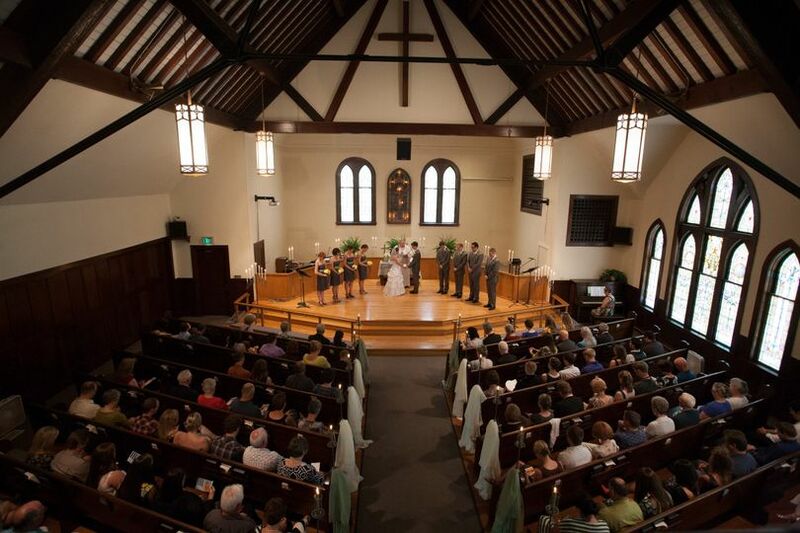 The Sanctuary is air conditioned and has adjustable lighting to set the mood for your ceremony. The Church is furnished with an early 18th Century pipe organ, pianos, and a sound system. Music may be re recorded or performed by musicians of your choice. One of our most requested features is the Dell Projector with screen. Many guest have used the projector to display slide shows, graphics, and videos. Our audio and visual facilitator will operate the projector during the wedding. One less thing for you to worry about. From simple to elaborate ceremony designs many wedding parties have utilizes the church provided candelabras (2 brass or 4 pewter they use 7 12"-15" candles) 18 pew candelabras (pewter only 8" candles) and 12 banister candelabras (pewter only they use 2 6"-12" candles each) for no extra charge. All candles must be drip less and can not exceed the height requirement do to firesafty. 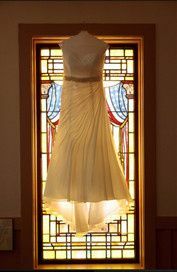 Other common decoration ideas include fabric over the alter table, flowers, bows ect... Please contact the Wedding Coordinators for more ideas and approval. You may use an officiate of your choice or contact our resident pastor. We believe it is important to have meetings regarding pre-marital counseling and discusses particulars of your wedding ceremony. 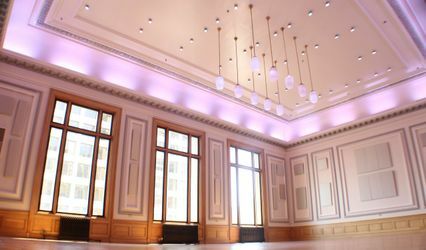 If you are having your reception in the church's fellowship hall we can provide a sound system, large kitchen and a dance area. Also, feel free to decorate the the fellowship hall by using blue painters tape or sticky tack. Additionally, you may decorate the provided table and chairs. Includes: audio/ visual operator, wedding coordinator, sanctuary, child care and custodian. Includes: use of Fellowship Hall, sound system, reception hostess and custodian. Includes initial meeting with Bride and Groom, rehearsal and Ceremony. 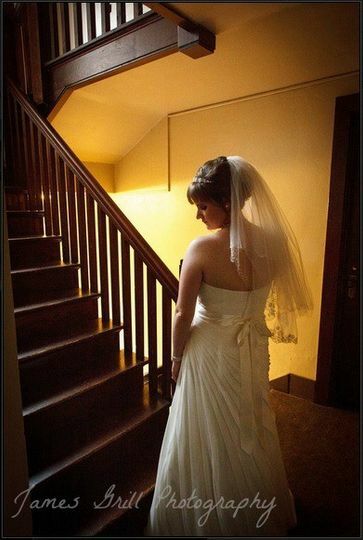 Includes two meetings with the Bride and Groom, rehearsal and Ceremony. 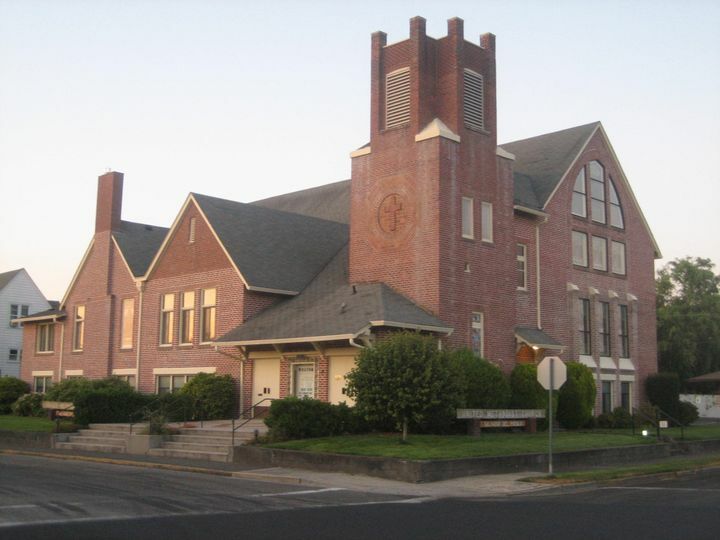 I was planning my daughter's Tacoma area wedding from out of state (Oregon), and trying to find a church to rent was not an easy task. 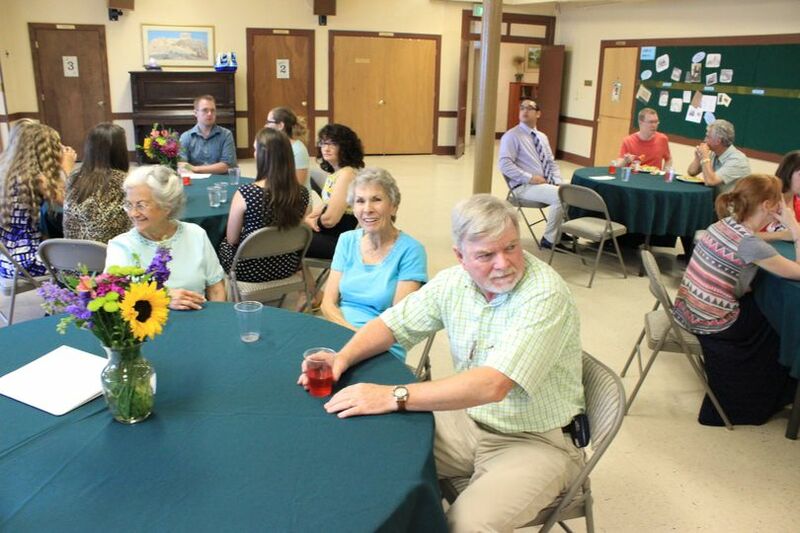 I'm so thankful we came across Sumner United Methodist! What a beautiful church! 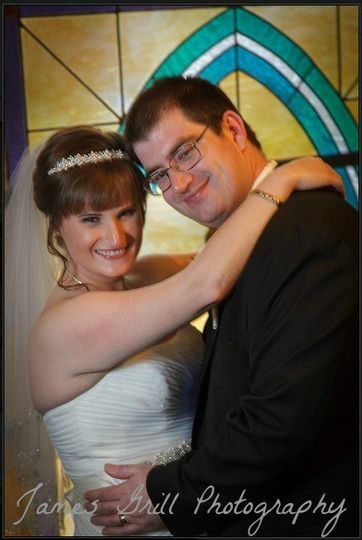 Not only was the rental reasonably priced, but Debbi, the wedding coordinator there, was such a huge help to us! We never could have pulled it off without her! The wedding turned out so beautiful! 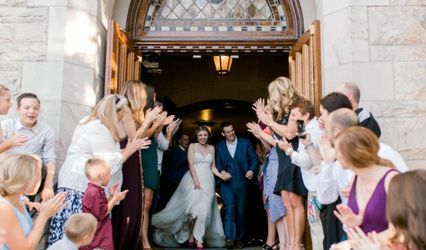 I had my wedding at this church and it turned out perfectly. They give you a wedding coordinator and she was so good about asking questions and being in contact with me that I had virtually no stress related to this part of wedding planning because she was just that great! 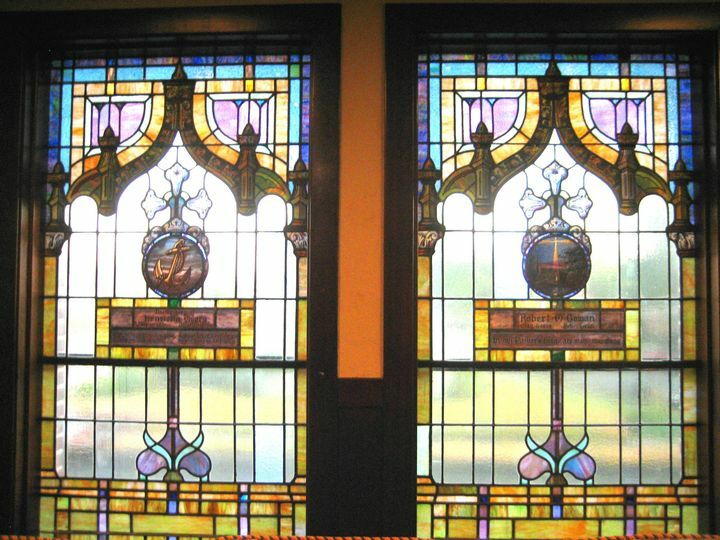 The sanctuary is beautiful because of all the stained glass windows and I loved the lighting. I had my reception there as well. It's not as pretty downstairs but it worked for us. We just had cupcakes and limited seating so it was more of an open house feel which was perfect for us. Prices are not bad considering the AMAZING service you receive. If I would email her a question she would always respond so quickly it amazed me. I recommend this to any bride seeking a laid back traditional church wedding.